Home•air conditioning, blog•How Does Your Air Conditioning Unit Work? Warm air in the room is sucked into the air conditioning unit. Dust and other particles are filtered out by a fine mesh layer to prevent clogging the machine. Keeping the filters clean helps avoid common problems such as poor efficiency and leaks. Liquid refrigerant is pumped through an evaporator which causes it to lose pressure and turn into a very cold gas. The gas continues to travel to a winding section of the tube known as the evaporator coil. Any damage to the evaporator or coils could cause the refrigerant to leak, so having it checked by an HVAC repair specialist on a regular basis is important. Air sucked into the unit passes through the evaporator coils. The cold coils absorb the heat in the air, cooling it in the process before flowing back into the room. A series of fans and an oscillator helps disperse the cool air throughout the room. The refrigerant passes through a compressor, which pressurizes it and sends it through another winding tube known as the condenser coil. The pressure heats up the refrigerant and returns it to its liquid state, ready to return to the evaporator. A condenser fan blows through the coils to prevent the air conditioning unit from overheating. Regular HVAC maintenance typically includes cleaning out the fan and the cooling fins surrounding the condenser coils. If you want to know more about your air conditioning unit, we’ll be more than happy to help you. 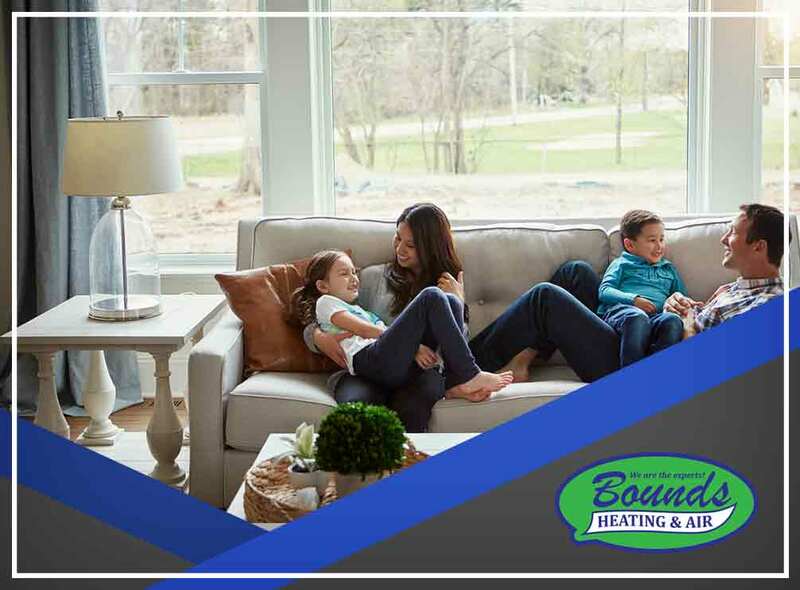 Bounds Heating & Air provides HVAC services in Newberry, FL and other parts of Florida. Call us at (352) 472-2761 or fill out this contact form to request a free quote.